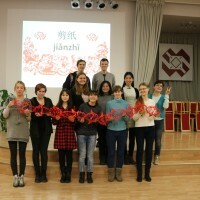 On the afternoon of 25th ,November, three Chinese teachers from LUCI——Ms.Wu Tiantian, Ms. Zeng Qingjun and Ms. Zeng Rong were invited by the local teacher Ms. Jana to come to Jelgava Spidola gymnasium Chinese teaching site and had a fascinating Chinese class for students together with Ms.Jana . Firstly, three Chinese teachers used Chinese to make a short introduction and say hello to students, then the Chinese class started. 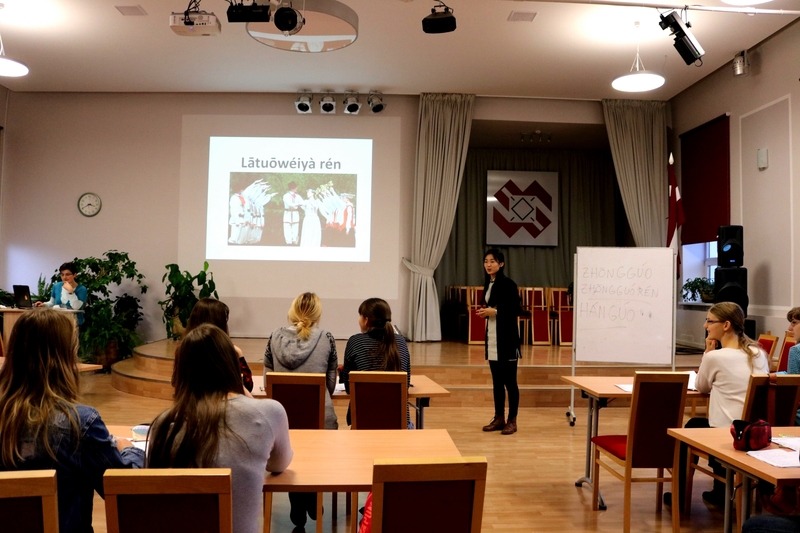 It is the first time for students in Jelgava Spidola gymnasium to see Chinese teachers, they were very excited and the classroom atmosphere was very warm. The Chinese class was divided into 3 parts. The first part: Chinese teacher Zeng Rong used sentences and words that have been learned by students to make dialogue with students. Letting the students review the knowledge that has been learned before and corrected their pronunciation. 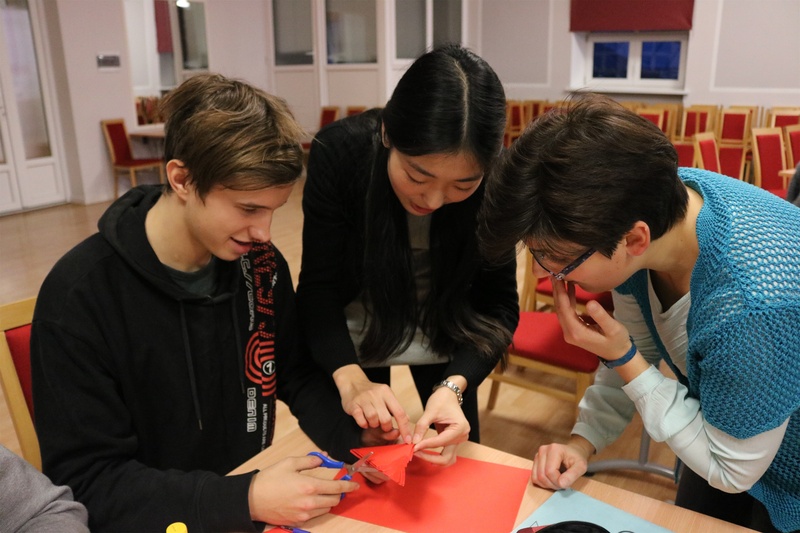 The second part: Zeng Qingjun and Wu Tiantian taught students to learn “Polite Language” and the text “Which country are you from?” The students were very interested in learning the Chinese names of different countries and asked a lot of questions. 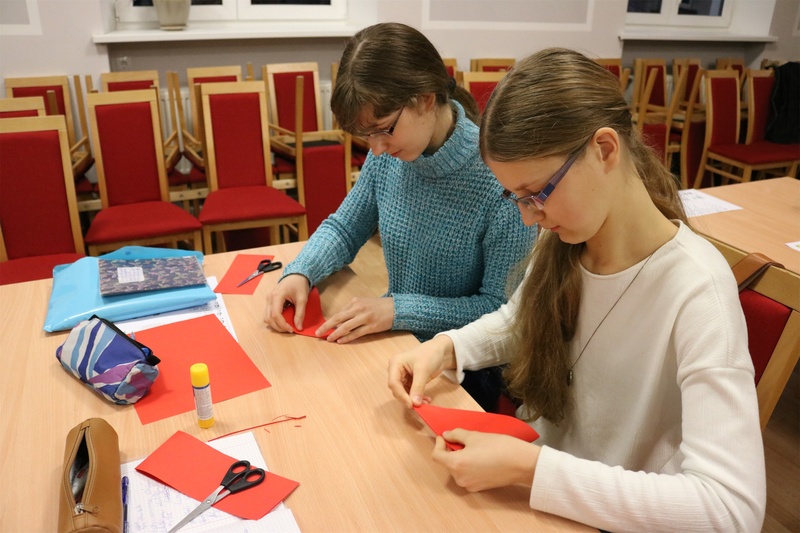 The third part: Ms. Jana introduced the history of paper cutting to the students, she showed the exquisite paper-cut works and introduced the meaning of some paper-cut works, the students were eager to make a paper-cut work themselves. Afterwards, Ms. Zeng Rong taught students making garland while Ms. Jana explained aside. Seeing their own works, the students were very surprised. After class, the students and Chinese teachers had a group photo. 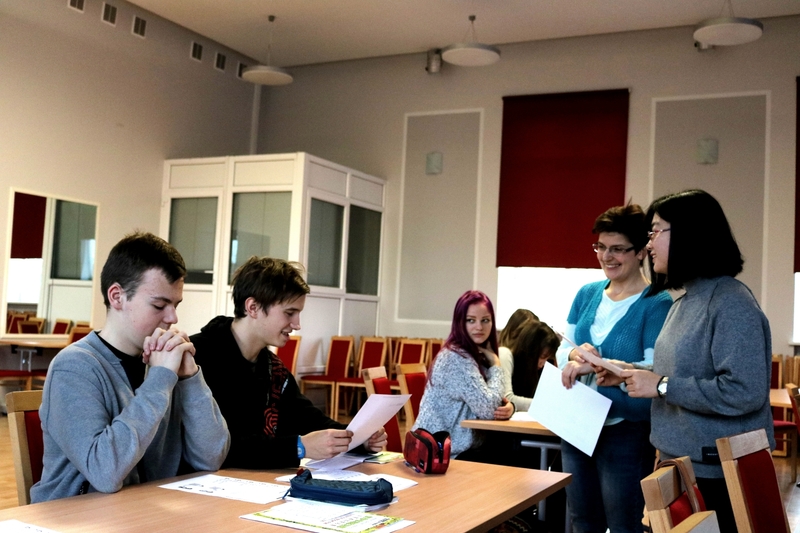 The students liked today’s Chinese class a lot and they welcomed Chinese teachers from LUCI to come to Jelgava Spidola gymnasium often.